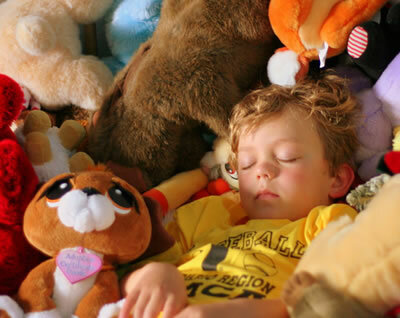 It is hard to figure out when you should let your child skip naps. There is no hard and fast rule to know when your child no longer needs a nap. I don’t really encourage toddlers not to have afternoon nap. Reason being they tend to get really grumpy when they get tired (for not having enough rest), especially in the evening. My son K who is turning 5 this year, still needs afternoon nap. He will get cranky and throw tantrums during dinner time if he ever skips afternoon nap. So I guess K is not ready to skip naps. Meanwhile I don’t complain much about his napping. Because when K naps, that’s when I have the time to myself. With J in the school while K is taking a nap, I can work on my projects and catch up with my reading with no interruptions. However things took a turn last week. I noticed he is ready for a change – K is able to give up naps. This happened when I took him along for a car service last Tuesday. We were at the service center for more than two hours and he got no chance to take a nap there. I found out by accident that there is another benefit if K skips naps. He can easily fall asleep at night and wake up fresh the next morning. That reduces my headache because I sometimes have trouble waking him up and getting him ready for school in the morning. Not only that, he can take up to two hours to fall asleep at night if he takes nap in the afternoon that day. This goes well until now and we are entering the second week without naps. To work around my “changed” routine, yesterday I took him to run some errands at the bank in place of his usual nap time. Something I couldn’t do if he naps. Again, he was fine and dandy yesterday. It only took 10 minutes for him to go into deep slumber last night – which means my night time is longer now! So the question now is when should you let your child skip naps? You have to take cue from your child. If he is ready for the change, you will know. If you don’t, you can always try it out – even by trial and error… just like what happened to K.